We will be happy to help Keep in mind our emails are checked twice daily and it may take us some time to get back to you. Thank you for your support. It was good talking to you today. I am currently working on making that available to all the members gold and silver. Thank you for bringing it to my attention it was a part of the former site. like ur site and looking forward to more things in the future. will u be selling ur princess D V D , at a lower price in the near future. As our site grows I hope to bring down the price of all of the products that are available now. The Cartoon Balloon Encyclopedia sold for 20 dollars retail and now all my books are available as downloads to gold members. 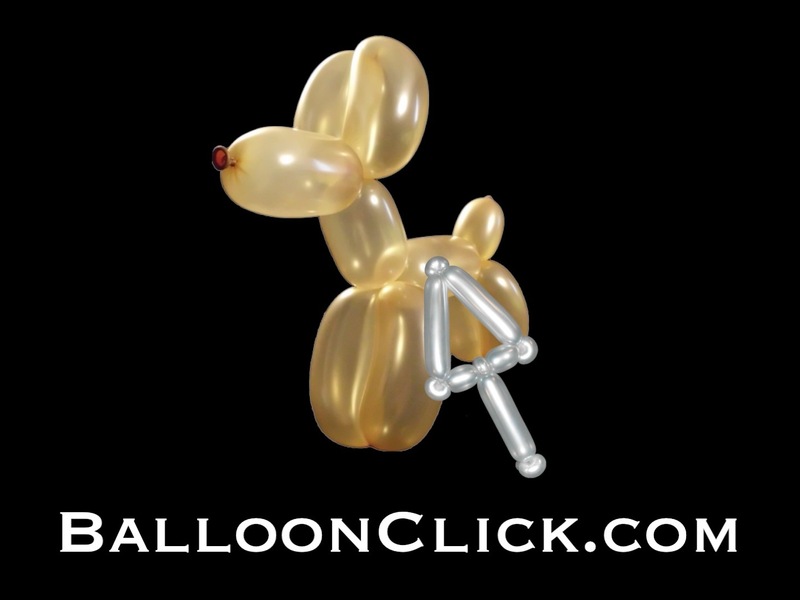 It is my goal to make all the videos available on balloonclick.com as hard copies that can be purchased for about half the price that they retail now. This will take some time though. We will be having some contests where videos will be given away to be announced shortly. thanks for your reply ken, as i live in the uk just tried to save a few pounds. even so i will order in the next week. I hope to attend an upcoming Balloon Click On the Road. What do I need to bring? Registering for your class in Jackson,ms on Sept 19,2011. What do I need to bring? Bring some 260s some 360s some black and white 5″ rounds. just wanted to clarify that I have paid for two seats at your Lafayette IN class. Ken, having trouble finding a vendor for Betallatex 18″ blush for making heads. Can you tell me a vendor for these? Click on the picture of spider guy on my shoulders. Yes you can use a 16″ balloon as well. I am a huge fan of your work. I am ready to order the princess dvd but I can’t find 360 balloons. Can you suggest a website where I can purchase the necessary balloons to create the princess ? It is a shame but fewer computers are supporting Flash. where to get high quality materials? Hello my name is Mauro, I would be interested to buy the dvd of the princesses, as I can get and what is its value. Hi Philip in Dublin, its showing silver, should be gold, paid on the 15-07 2014,can you sort that out Ken thanks. Hi there, I pay the monthly subscription, but there was no tutorials for July, but my money was deducted all the same. Your tutorials are brilliant, but I shouldnt be charged for July as there was no tutorials for that month. So can I have a refund for that month. Hey Ken The more I explore balloonclick.com the more I like it. I was wondering though, where on here are the downloads for the sticker faces? You mention them but I can’t seem to locate them.